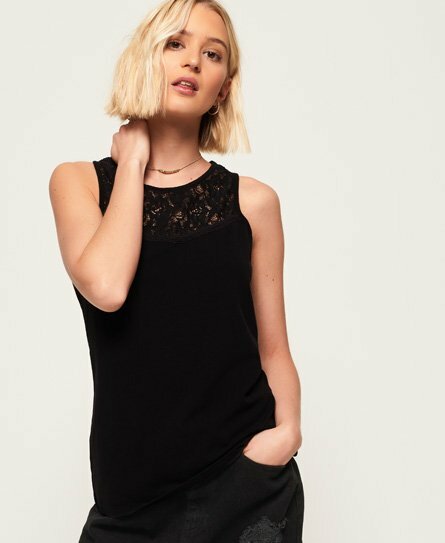 Superdry women’s Ivy lace vest top. This vest top features a detailed lace pattern on the chest and is finished with a Superdry logo patch near the hem. This is a staple piece for any wardrobe, and can be dressed up or down.